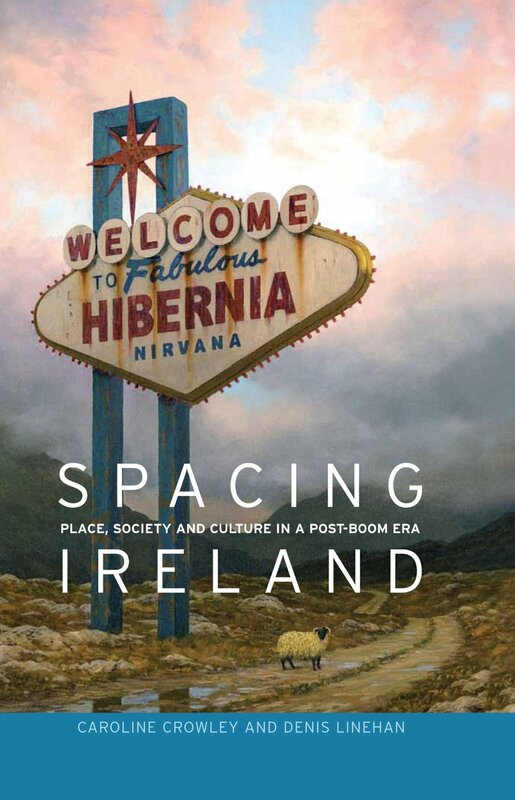 New Book: Spacing Ireland: Place, Society and Culture in a Post-Boom Era. A new book about Ireland after the crash of the Celtic Tiger economy has just been published in the ‘Irish Society’ series of Manchester University Press. The collection, which is edited by Caroline Crowley and Denis Linehan, features a range of essays and includes contributors to the Ireland After NAMA blog. In light of the innumerable interventions that characterise the transformation of Ireland over the last two decades, Spacing Ireland: Place, society and culture in a post-boom era explores questions of ‘space’ and ‘place’ to understand the nature of major social, cultural and economic change in contemporary Ireland. The authors explore the intersections between everyday life and global exchanges through the contexts of the ‘stuff’ of contemporary everyday encounters: food, housing, leisure, migration, music, shopping, travel and work. These are the multiple layers of space we now inhabit. Ireland is a turbulent place. It is fruitful to consider the contemporary geographies of the island through the various forms where change is expressed. The wide range of topics addressed in the collection and the plurality of spaces they represent make the book appealing not only to students and academics, but to anyone who follows social, cultural and economic developments in Ireland. Hi Mary, I have now added the list of authors.